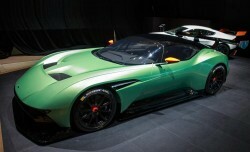 Aston Martin came to the Geneva Motor Show with all guns blazing. 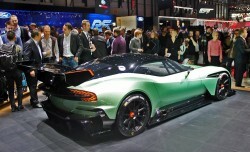 The main highlight of the three cars was the track-only hyper-car named the Vulcan. Only 24 examples of the car will be made and it is said to come complete with driver training. The car is estimated to be priced at $2.3M and is aimed at the same market as the recently launced Ferrari FXX K and McLaren P1 GTR. 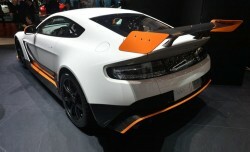 Also on show was the Vantage GT3, the most extreme version of the Vantage to-date. The car boasts 592bhp and 457lb-ft, The car has several noticable exterior changes, namely the wider fenders/track, large rear wing and more purposeful side skirts and front bumper. Only 100 units will be made globally, but unfortunately none are currently destined for North America. 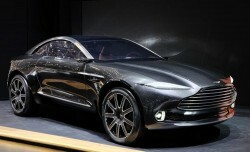 The third and most surprising reveal from Aston Martin was the DBX concept. The concept is an electric powered crossover with a strong GT coupe profile which is paired with a taller ride height and all-wheel-drive system. 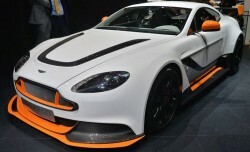 There is no set plans to build this car currently but it certainly illustrates what Aston Martin could develop in the future.